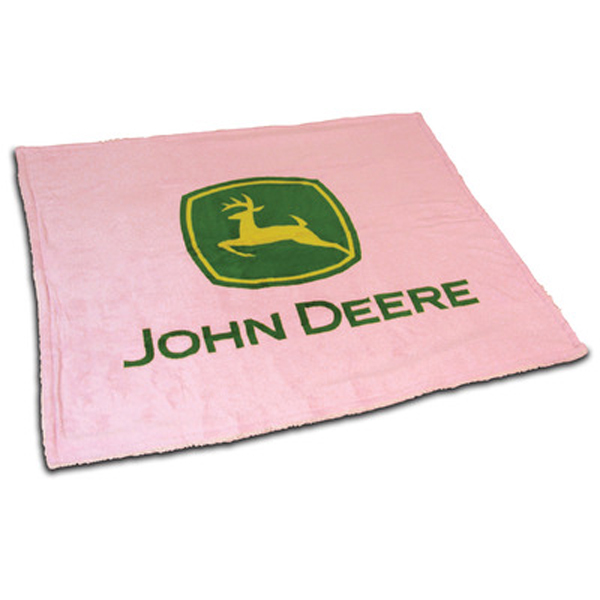 This two sided sherpa blanket features the John Deere trademark on pink heavy fleece blanket with sherpa fleece on the other side. Measures 60 inches by 48 inches. 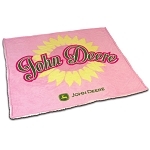 100% Polyester Fleece.